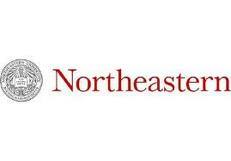 Could grads from Northeastern be better entrepreneurs than grads from Harvard or MIT? Having just sat through the final presentations of ten entrepreneurial teams graduating from Dean Paul Zavracky’s yearlong I-Cubator program at Northeastern University’s School of Technological Entrepreneurship, I have to ask: Are these NU grads better suited to be entrepreneurs than the grads from Harvard’s HBS Business School or MIT’s Sloan Entrepreneurship Center? I’ve seen the hard work – and focused energy — of prior grads from this NU program, such as Jason Evanish, who started Greenhorn Connect and who is an early team member of Laura Fitton’s Twitter startup, oneforty. This year, I’ve met more folks from the program in my role as mentor to one of the NU teams, NueBuild, whose founding members Ben Youtz and Peter Wiederspahn developed a patented, energy efficient, modular, low cost, home construction system. I am providing hands-on mentoring to the founding team, as well as helping their efforts to enter their first target market, China. Seeing ten Northeastern teams up close this week, I am left with the view that they might just be more practical, more hands-on, and more interdisciplinary-aware than the typical grads from those other business schools. What’s your view? This entry was posted on 26 August 2010 at 8:19 PM and is filed under Ben Youtz, China, Des Pieri, Desmond Pieri, Harvard Business School, I-Cubator, Laura Fitton, MIT, MIT Sloan Entrepreneurship Center, MIT Sloan School, Northeastern University, oneforty, Paul Zavarcky, Peter Wiederspahn, Uncategorized. You can follow any responses to this entry through the RSS 2.0 feed. You can leave a response, or trackback from your own site. I think it’s a matter of quantity and quality. I would not take away from either of those schools, although my experience is mainly with exceptional students from MIT. At Northeastern, the key is that the best at the school do some pretty awesome things, but student for student, we’re not at the quality level of MIT. Much like David Cancel said in his Angel Bootcamp presentation, Northeastern often breeds a certain kind of graduate that is exactly what is needed for a startup: hunger, eagerness to work hard and learn and willingness to take on challenges. I think the co-op program breeds some of this as we immediately get a taste of the real world and also just the nature of many of the students that attend. Northeastern has a great reputation for creating great entrepreneurs; many of our buildings are named for them (most notably Egan and Marino from EMC). I think we’ll continue to see more of them. I hope it’s true of entrepreneurs, though I have an obvious bias. I HAVE a tremendous success finding great developers through NU’s coop program. I think there’s some magic number of “lines of code written in the real world” that teaches lessons that can’t be taught in the classroom. Most NU coop students hit that number before they graduate… a big advantage over other schools in my opinion. NU hasn’t done enough outreach to alumni… I hadn’t heard about I-Cubator. Dave, I only learned of the I-Cubator program because the dean was at this year’s Nantucket Conference. You are right; the entire university needs to do much more in terms of outreach to alumni. It seems to me that the school you go to has little correlation with your success as an entrepreneur. Successes have come out of Harvard, Northeastern, and no college at all. A differentiating factor might be that schools like Harvard/MIT provide more resources to boot, so its easier for their entrepreneurs to get noticed.